This is an age of crisis: economic, political, environmental, and social. Yet the nature of contemporary crisis is often misunderstood. Crisis, rather than being accidental or episodic – as is too often assumed – has been a regular feature of state practice in the neoliberal austerity regimes of contemporary capitalism. 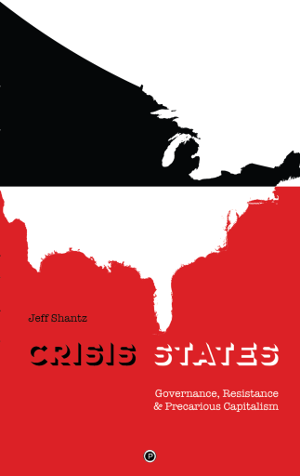 In this timely work Jeff Shantz gives special attention to the particular manufactured crises associated with austerity regimes and conditions of precarity within contemporary capitalism, and how Crisis States differ from other forms of state practice. Re: “Road opponents camp out,” The Leader, April 27. The camp and occupation against the South Fraser Perimeter Road and Gateway Project are much needed and welcome initiatives. In addition to the many social and environmental harms resulting from the freeway development identified in your article we might add another, less obvious, impact.